Get insured and stay healthy..
Have a question about ISAHD? How does it impact you? Check our frequently asked questions and if still have an issue send us your question through our contract form. Check out ISAHD initiatives that shall provide the people of Dubai with smart solutions in the coming 2 years to improve access and quality of healthcare. Watch a movie, introducing ISAHD for public and explaining how to access healthcare. 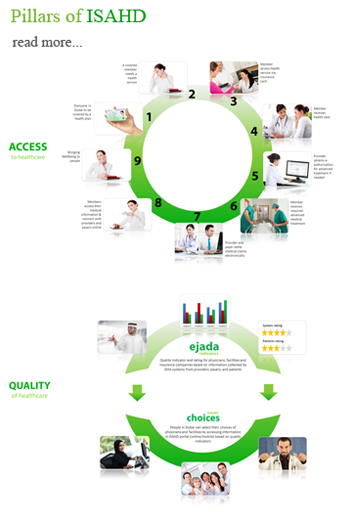 View details about eClaimLink portal serving healthcare providers, payers and Authority.